Barr an Uisce owner leads the crowd through an unforgettable tasting @ Whisk(ey) Wednesday. 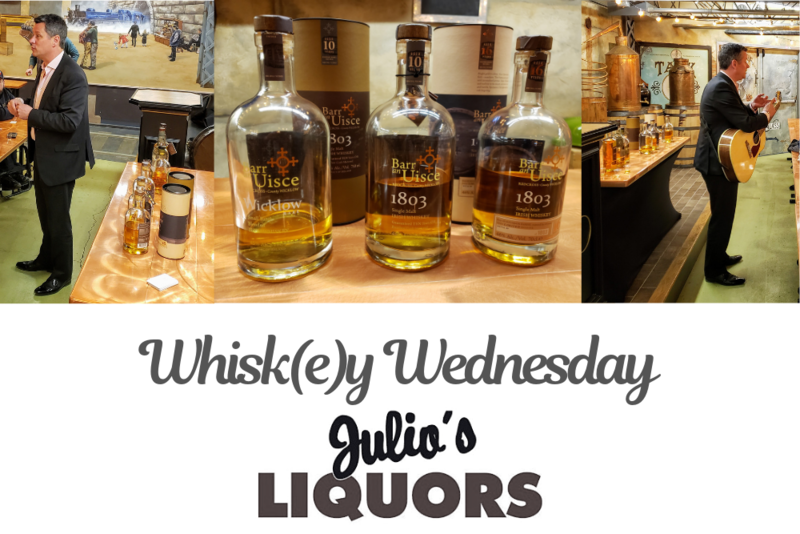 Whisk(e)y Wednesday at Julio’s Liquors with Jason Stubbs was lucky indeed. Jason shared a few tunes, a few stories, and the excellent whiskies from his brand, Barr an Uisce. This included a sneak peak of the not-yet-available 16 year old single malt.